Princess & the Paper presented by A Jillian Vance Design: Day 12 of 14 Days of Valentines: Valentine Blog Hop and GIVEAWAY! Day 12 of 14 Days of Valentines: Valentine Blog Hop and GIVEAWAY! 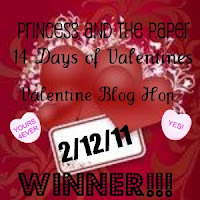 It is the start of the Valentine Blog Hop here at Princess And The Paper! We are going to have so much fun! My project is a card that says "Love Moo" with the Create a Critter Cartridge! I thought this was so stinkin' cute! I hope you all do too and decide to make this card too! Here is the recipe! Isn't this card just ADORABLE??? Here are some tips when cutting the cow and making this card. The cow layer 1 is really layer 2 and layer 2 is layer 1. All you have to do is draw an arrow so you can remember. I know I mentioned this on my first UStream, but I am mentioning it again in case you missed it. I had to make the heart dot only go half of the way (or if you want to get technical 3/4's) because it would look wrong if I didn't. It would go the way of a vertical card and not horizontal if that makes sense. Giveaway time! 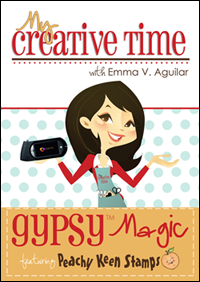 Emma over at My Creative Time has donated a Gypsy Magic Featuring Peachy Keen Stamps DVD for the Blog Hop! All you have to do is become a follower of my blog and then comment saying you did so, or if you are already a follower, that you are a follower. Please provide your email and blog adress so that I can email you if you win. I will be using Random.org to choose the winner, and the winner will ALSO recieve a little something from me from their blog.... An exlusive button for your blog saying that you won! Now that is pretty good blog candy, right??? I'd like to thank Emma for Donating the DVD! As you all know, I'm sure, Emma is a Wonderful and sweet person! You have until the 15th to enter, I will be picking the winner at 12:00 PM EST Time on February 15th, and announcing it on my blog AND my Facebook Page HERE at that time also. My UStream is TONIGHT at 7:00 PM EST Time! Please come if you can! There will be chatting, a stamp release, and 2 Valentine-Themed projects! RSVP HERE or just come! Here is the link to my Show Page if you are having trouble getting to my UStream! Just click on Show Page and it will take you there! I will be logging on about 6:30 so if you want come early to chat! along the way... just come back here for the list! I just love your card and I am a follower@ So excited about your ustream class. You are so talented! Super cute card and I am already a follower of yours. Thanks for the opportunity to win. Love the pun and the card. What a cute cow and great sentiment! CAC is my favorite cartridge. I already follow your wonderful blog! Hi the cow card is very cute, I do not have a cricut but my friend lets me use hers thank goodness, she shares her cricut I share my sizzix. It's a win win, I am now a follower and this blog hoppin' is fun! Good morning Miss Jillian. Are you enjoying all your new found fame? You did an awesome job getting this hop together. I'm going to try & attend your Ustream tonight if I'm home. I won't know what to do, but I'll be there if possible. Have a wonderful day today! Great job on your card Jillian it's too cute! 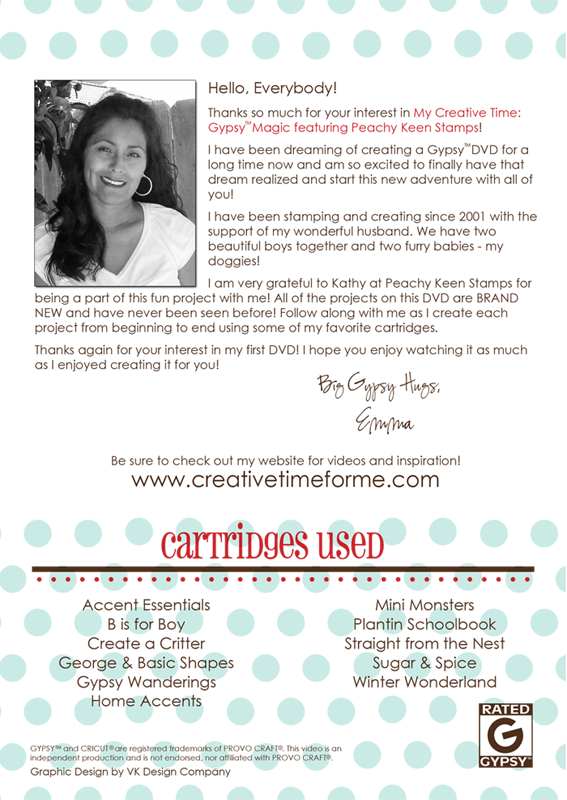 Thanks for hosting this wonderful blog hop and I wish you much sucess on your new stamp release tonight! I love this card. I don't have but just the George cart and the Create a Critter is the first one I want to buy. So many wonderful things to do with it. Oh and I am a new follower as well. Really cute card and such a fun blog hop! I'm a new follower! Wow what a great hop... Love the cow just too adorable... I do follow you and would love for you to stop by my blog and become a follower. This is an awesome blog hop! I love the card you made :) I just became a follower. I became a follower today. You have some really cute Cricut cards. Great Job! It makes me so happy to see the younger generation of Cricut/Paper crafter's! So proud of you!!! Love the Moo card ~ you are so creative! Great job on how great you organized this blog hop. You are 11 going on 30! I'm a new follower! Love the cow, it's so cute! Check out my blog when you have a chance. Myebonycards.blogspot.com!! Thanks for the gift of sharing! New follower thanks to the hop..love your card..the sentiment is adorable. TFS! Love your card - the little cow is so cute. I'm a new follower - found you through Carolanne at Logan's Crafty Mamma. Planning on attending your show tonight - sounds like fun. I'm already a follower. Great card ~ I love it! I'm your newest subscriber. I loved the cow card! super cute card!!! I am now a subscriber. Thanks so much for the chance to win!! I am off to blog hop!!! Very cute card! I'm a new follower. Thanks for the opportunity! I love your card!!! Thanks for allowing me to be a part!!!! This is a really cute card and even though I'm not a big fan of cutesy, I'll make an exception just this once! ;o) It really is adorable. 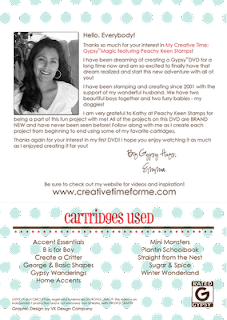 Thanks so much for hosting this hop and for sharing the creatvity and inspiration of so many talented ladies. I'm a follower. Great job Jillian! Thanks again for the stamps. I am a follower! I am a new follower, and I loved your ideas from the ustream. I keep forgetting I can use my xyron for glitter. Just became a follower, and I'm so scrap-lifting a card from your blog for my Sweetie! I might have to "love moo..." it'll be adorable! Thanks for sharing! Luv the card, thanks for sharing!! Create a Critter is one of my fav cartridges. I am a follower. I am a new follower..your card is awesome, thank you so much for sharing. Love your project, always looking for new ideas. Thanks, look forward to following. this is so cute! i love cows lol! Loving the hop thus far--I'm kinda going out of order, but will make sure to hit everyone. The cow is fast becoming my favorite CAC cut. Happy Valentine's Day! I love Moo too, and CAC. I'm going to run up to the Craft Zone this afternoon and use your idea though I'm going to affix Mr.Moo's head to the card with an Action Wobble. I just got in my pack of those, so let's see how they work! TYFS... I just became a follower and I look forward to seeing more of your work! Jillian I love your card and especially since it is so simple. Less is best and you NAILED it. Thanks for sharin. i love your card!! so cute!! I am a new follower, but I'm loving what i see...thanks for sharing! Adorable card. Thanks for sharing. I'm a new follower. Such a cute card! Thanks for the tip on the layers! Super cute card! I am a new follower! What a cute card. I'm a new follower! this is so adorable! I just became a follower. cassie726@yahoo.com....thanks for the chance to win. Great card...Animals are so adorable. Cute card. Your new stamps look awesome.